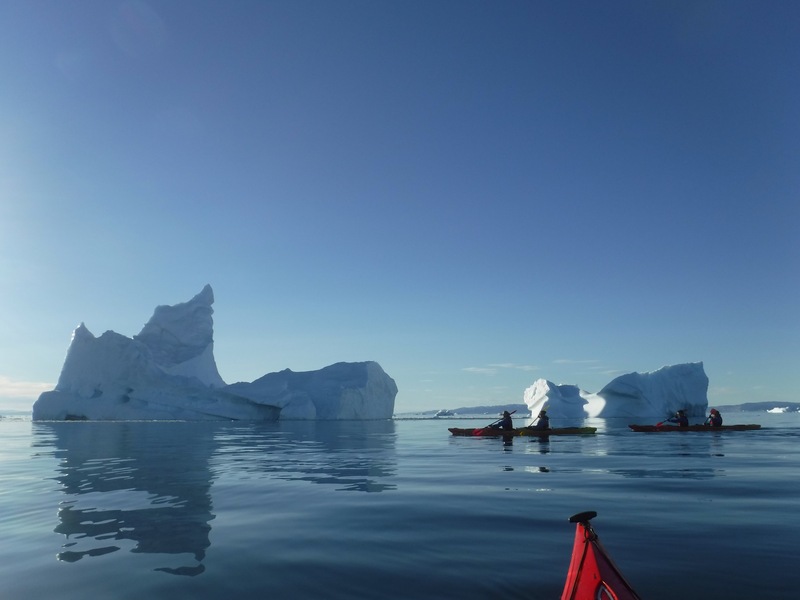 Greenland; where Friday nights mean drinking Baileys, in a kayak, next to an iceberg, in the arctic circle. Qajaq is the Greenlandic word for kayak, and it was here that it originated. Their original version sit much shallower in the water, made from animal skin and intestines. The Greenlandic people still train in the kayak roll and use this means of transport for catching fish. 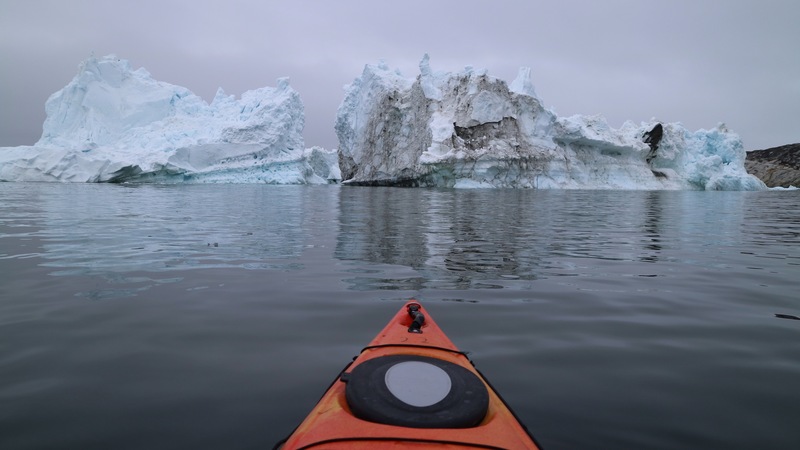 PGI Greenland is an outdoor adventure company providing kayak trips around the Ilulissat area, home of the Ilulisaat Icefjord and its army of floating icebergs. 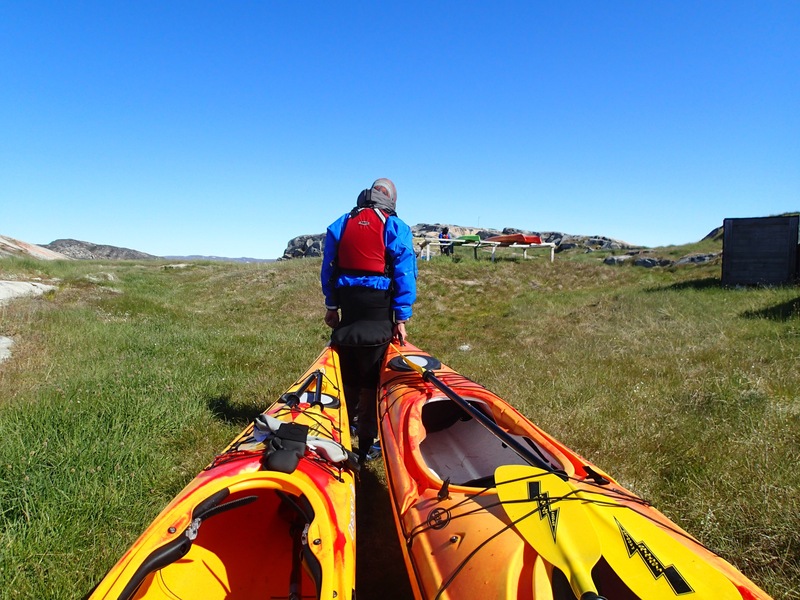 They work closely with the local kayak club and the wider community to bridge the sport with the community and culture of Greenland. It’s about more than just getting close to these ice giants, but understanding more about the people who have lived in this land for thousands of years. While tourism is still very much a developing phenomenon, it is largely being driven by international influence. The question of involving the locals and creating sustainability is one that PGI Greenland are keen to answer and they actively seek to train Greenlandic guides, working closely with students of outdoor education to embed that within the company. Preparing for the 3 degrees water we suited up in thermals, dry suits, gloves, hoods and life jackets and plodded down to the waterfront for a quick lesson in kayaking next to the locals kayak club. Out on the water the conditions were exciting. The wind and waves blowing north made for a strong force to battle against and the rocky mountains and icebergs we used for shelter made for a welcome respite. The submerged ice glowed blue hinting at the hidden 90%, a true feeling of the power of nature. In encountering icebergs so close, a lifelong dream was realised. The seemingly unmoving giants toyed with us, as if playing an unspoken game of grandma’s footsteps, as every time you looked up, they had rearranged. Using your imagination, you could pick out shapes in the ice. As we reached the end of our paddle the guide, Angel offered us Baileys. Considering the amount of ice around, it did seem like a great time for Baileys on ice, however with his cheeky smile none of us could be sure he wasn’t joking until he produced 6 little glasses and a flask, and despite the hefty swell, expertly poured us each a little tipple. Of course approaching the town was the easy paddle we were rewarded with. Coming alongside smaller icebergs we were able to encounter them more closely. The apprehensive faces of a few hours before now wore broad smiles. When in Greenland, do as the Greenlanders do.